28 North is currently playing tour dates nationally and working with ace producer Gavin MacKillop (Goo Goo Dolls, MXPX, Kitten, Echo and the Bunnymen) on the follow up to their 2014 break out record "World on Fire." Songwriting is timeless. Instruments resonate with the strings of the human heart. Gathering together to experience the power and energy of a communal celebration of music is one of human kinds' most distinct and gratifying creations. 28 North abides by these simple creeds and by result is simply one of the best bands performing today. 28 North. A Real Rock Band. Recently voted Best Band in the land by Pittsburgh Magazine, the members of the band — Michael Lindner, Tyler Bond, and Mark Glinka,— have been showcasing their unique blend of rock and roll all across the U.S. from New York to California, and everywhere in between. An ever-growing mob of fans has been coming out to watch 28 North tour with groups like ZZ Top, Train, Blues Traveler, Young the Giant, Dawes, My Morning Jacket, TV on the Radio, and Crash Kings. Los Angeles has been their home since September 2011. With appearances at the SXSW and CMJ festivals, 28 North has taken their act over the top with their new record, "World on Fire". 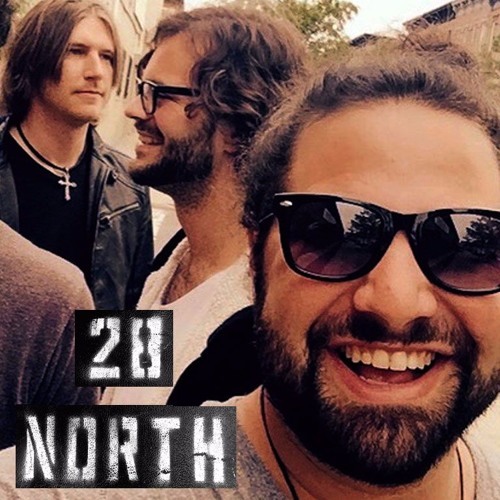 With their unparalleled vocal harmonies, virtuosic guitar work, polished hook laden songwriting, a rapidly expanding fan base, and their boundless charisma, it's only a matter of time before "28 North" is blazing from the stadium lights.